I’ve watched a lot of Falcon 9 launches. Some have carried satellites into orbit for private customers. Some, like yesterday’s, launched Dragon capsules to rendezvous with the International Space Station as part of SpaceX’s Commercial Resupply contract with NASA. Like everyone who’s watched SpaceX’s launches live online, I’ve gotten used to holds and scrubs for all manner of different reasons, some mechanical, some meteorological, some just precautionary. 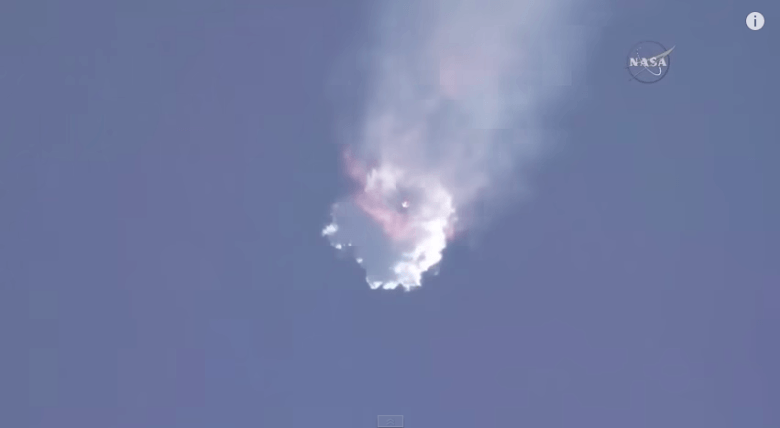 But one thing that has always been the case is that in the end, SpaceX does the job. In fact, the Falcon 9 has become so reliable that this amateur space enthusiast had begun to take it for granted. In Musk we trust. Period. In the run-up to yesterday’s CRS-7 launch, I e-mailed Jeff to tell him that I had a feeling in my gut that this launch was going to be the lucky one, and that SpaceX would finally succeed in recovering their first-stage Falcon 9 rocket booster on their drone-piloted barge “Of Course I Still Love You.” I told him that because I knew I wasn’t going to be able to watch the launch live, or even follow its progress on social media. My teenage son, who is a very serious lacrosse player, was playing a tournament at a remote field complex that morning, and even if the launch weren’t occurring about twenty minutes after his first game faced off (which it was), I doubted I’d have the cellular service to keep tabs on what was happening. With my luck, I figured, the fact that this was the first launch in nearly two years that I wouldn’t be able to watch live either on my laptop or my cell phone meant it was sure to make history. Well, I guess that last bit wasn’t wrong, just not in the way I was thinking.